When Dorothy in the “Wizard of Oz” was walking through the Forrest, she exclaimed, “Lions and Tigers and Bears – Oh my.” Trust me when I say that most Information Technology Staff have the very same sentiment, “Cell Phones, Tablets, and Notebooks – Oh My” when walking through the office and seeing the extreme variety, feel every bit as much in peril as Dorothy. Why? Because every one of those devices is a potentially unsecured entry point in to the corporate network and might be able to access sensitive data. What is an Information Technology Manager to do? Ban all mobile devices from accessing the Network? Demand that only mobile devices issued by the Company and properly secured may connect to the Network? Tell the CEO that she cannot use her iPad to read her mail? Tell the CFO that he cannot access or look at the latest corporate financials on his iPhone because Apple does not understand “enterprise security?” Make everyone use a Blackberry curve? There must be a better answer and there is. It is called Mobile Device Management. The technology is available from a number of different vendors. It enables Information Technology Staff to secure and manage most well know brands of Smart Cell Phones, Tablets, and Notebooks from a centralized console. 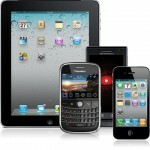 Each Mobile Device Management vendor implements the solution slightly differently but with the same general result: the Information Technology Staff can apply and enforce usage policies, approve specific apps, determine the location of the device, enforce proper login credentials, and remotely wipe lost or stolen devices. Another great feature is the standardization of Management Interface (Dashboard) of the various mobile platforms. The Information Technology person does not need to be concerned about if he or she is managing an iPhone or an Android phone. The Mobile Device Management software presents a single, unified view by class of device: All Cell Phones and All Tablets. Of course the granularity is there should one want to take advantage of specific features available in say an IOS device (iPhone, iPod, iPad) vs. and Android phone or tablet. When performing a review of Mobile Device Management software platforms, there are a number of considerations to review. These include how many devices you have to manage? Are they predominantly Apple devices, Android Devices or something else? Are the mobile devices being used in your corporate environment by your employees supported? Does the Mobile Device Management Platform support all the versions of the mobile device operating systems in-use? And, from an Administrative perspective: Is the software license purchased as a one-time fee or is this a monthly service? The important take-away from this article is that mobile devices, especially ones that your own Information Technology Department do not official support represent a real threat to your sensitive corporate data and need to be “cleared” prior to being allowed to access data on your network. Think of it this way: For those of you that work in larger offices, visitors are signed in, logged, and guided. They don’t just wander in the front door and walk aimlessly around office. Why would you allow a perfect stranger, such as someone’s personal smart phone, access your corporate data network without being escorted in?